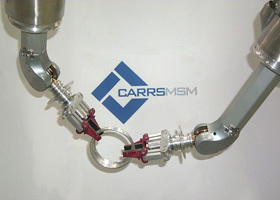 CarrsMSM is a division of Carr’s Engineering Ltd, based in Swindon. It specialises in remote handling equipment for: the nuclear industry, medical research and toxic environments. The master slave manipulators it produces are commissioned for use in both the UK and internationally, and are subject to continuous product development, to provide enhancements, suitable for varying client requirements.